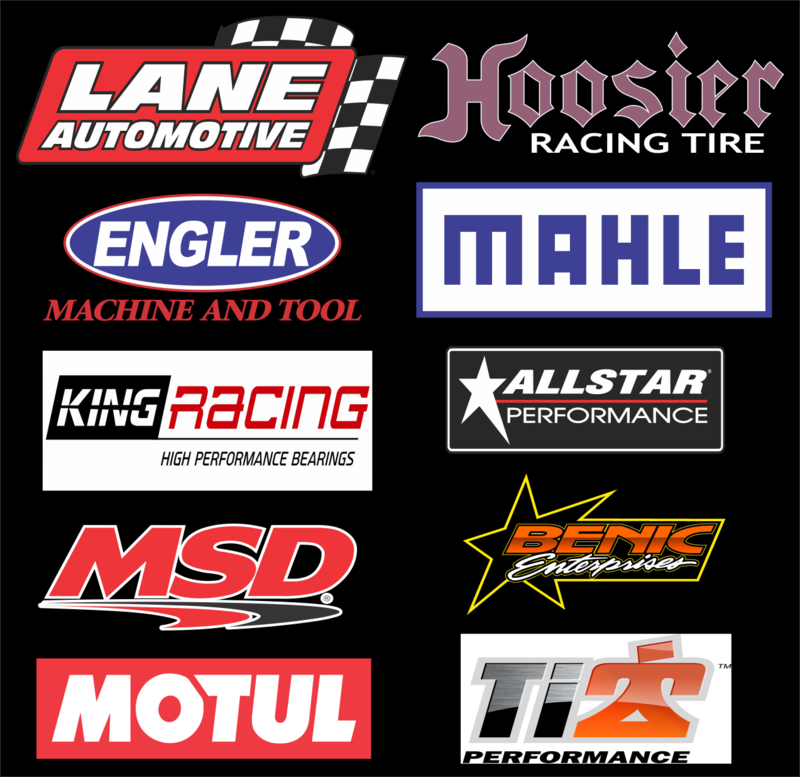 FORT WAYNE, IN (April 4, 2019) – As the 40th LaneAutomotive Sprints On Dirt powered by King Engine Bearings / MSD Ignition /Motul season fast approaches, here is pertinent information about 2019. Feature payouts for 2019 will be $1,600 to win, $320 to start. Benic Enterprises will award the fast qualifier in each heat. Engler Machine & Tool, King Engine Bearings, MSD Ignition, and Motul will provide a payout to heat race winners. 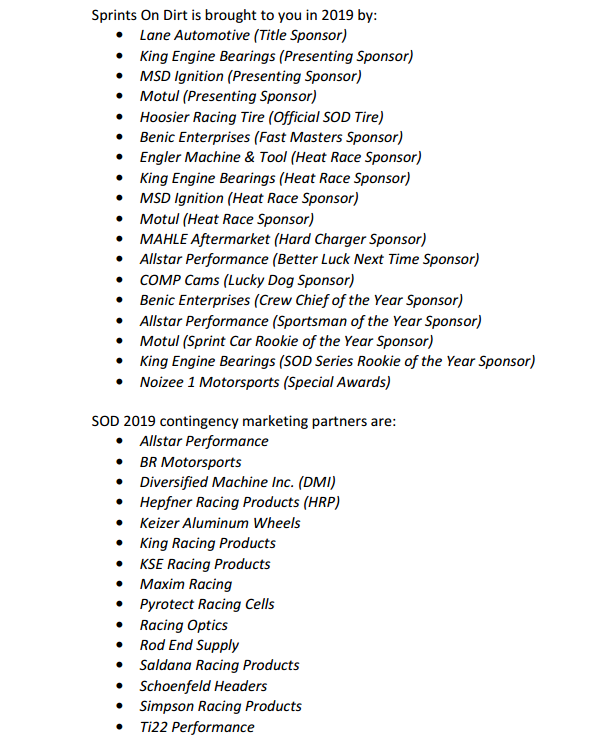 As with last season, numerous contingency awards will be available at every race. For complete payouts and awards details, click here. Year award, and the King Engine Bearings Series Rookie of the Year award. For 2019 rules, membership and non-member registration forms, minor releases, etc., go to the Sprints On Dirt website. call (260) 668-4912 or email dave@icarracing.com. SOD will continue to provide competitors with sponsor panels that will allow them to install as few as 6 decals instead of numerous individual decals. There will be a panel for primary sponsors and one for secondary sponsors; SOD decals are separate. A few decals for each sponsor partner will still be available on a limited basis; decals for sponsor partners that join us after panel production will need to be supplied individually also. The primary sponsor panel is 17” wide by 16.5” high. The secondary sponsor panel is 33” wide by 4” high. Like last year, the panels are available with either a black or white background. Logos are arranged to make it easy to cut the panels into sections if needed.